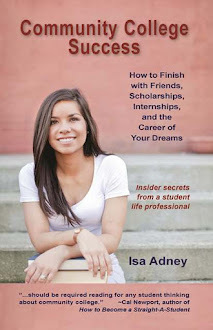 Whether you're gearing up to attend college for the first time this Fall or just graduated, checking out any one of these books this summer will improve your college and career opportunities in amazing ways. If you're really brave and super-awesome, read them all (libraries are the best!). You won't regret it. (note: no one has paid me to write about these books - I've read them all and just truly love them and think you will too). What would you add to the list? Please share in the comments below or on the Facebook wall!